‘My BFF’ hopes to sustain the momentum that its predecessor ‘My Love from the Star’ generated during its run. The last time GMA aired a local teleserye before ’24 Oras’, they were rocked in the ratings. But with ABS-CBN’s ‘Mirabella’ not living up to expectations, GMA has decided to take advantage. Starting June 30, ‘My BFF’ will take on ‘Mirabella’ on the timeslot preceding the news. The series, starring Jillian Ward, Mona Louise Rey, Janno Gibbs and Manilyn Reynes, will replace the highly successful and competitive ‘My Love from the Star’. This will be GMA’s first local teleserye in the 5:45-6:30 p.m. slot since ‘Paraiso Ko’y Ikaw’. 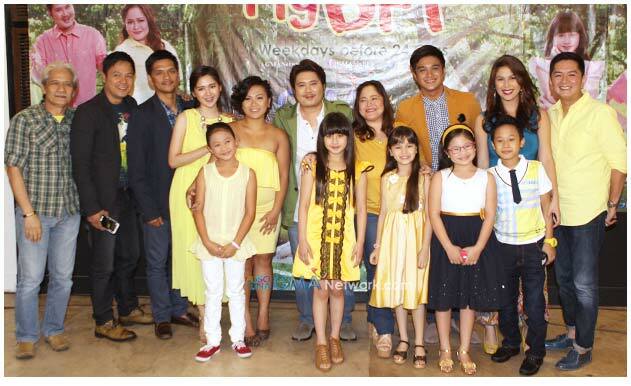 The series, starring Kristoffer Martin and Kim Rodriguez, performed poorly in the midst of ‘Annaliza”s dominance. As a result, GMA shied away from producing a local series in that timeslot for over two months. During that span, two programs were aired: ‘GMA Sinebabad’ and ‘My Love from the Star’. The latter series was a success, outplaying ‘Mirabella’ in the AGB Nielsen ratings while staying competitive in the TNS Kantar ratings. The popularity of ‘My Love from the Star’ prompted the network to re-air the program every Sunday. Meanwhile, ‘Mirabella’ is struggling to sustain the momentum that ‘Annaliza’ gained throughout its run. The 20% rating of ‘Mirabella’ is less than the 25-30% ratings that ‘Annaliza’ managed in its 10 months on air. The low ratings of ‘Mirabella’ is uncharacteristic of ABS-CBN’s recent string of dominance on primetime, where ‘Dyesebel’, ‘Ikaw Lamang’ and ‘Sana Bukas Pa ang Kahapon’ became their strongest suits. Simply put, ‘My Love from the Star”s success gave GMA some momentum, and now they hope to capitalize with ‘My BFF’. The latter, with its light-hearted story and emphasis on family and friendship, should give ‘Mirabella’ a difficult time attracting viewers. And if ‘My BFF’ wins, it will be a huge victory for the Kapuso network.